Rich gold, slightly see through vellum envelopes from the Curious Translucent line is a stylish addition to any printed stationery piece. This super gold metallic shimmer adds intrigue and pure elegance to any invitation mailing. 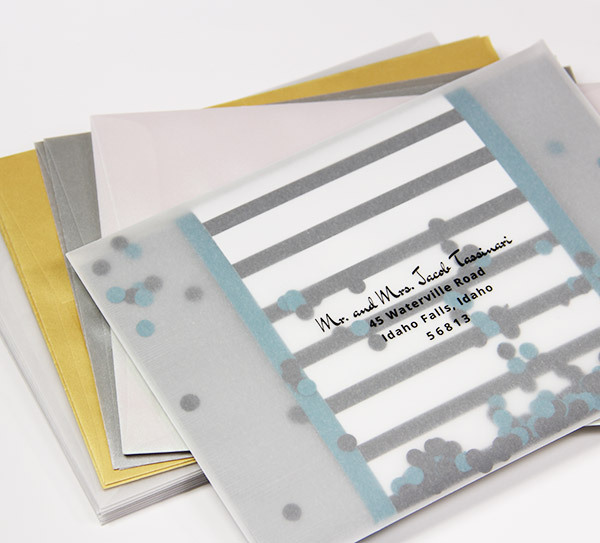 A7 invitation size is the perfect fit for our A7 cards, both flat and folder.